Guest Kara Smith showed four baby quilts, a quilted State of Texas emblem, and a baby quilt with the Tarleton logo. Kara said that she is a self-taught quilter, having studied tutorials on Pinterest and on various blogs. 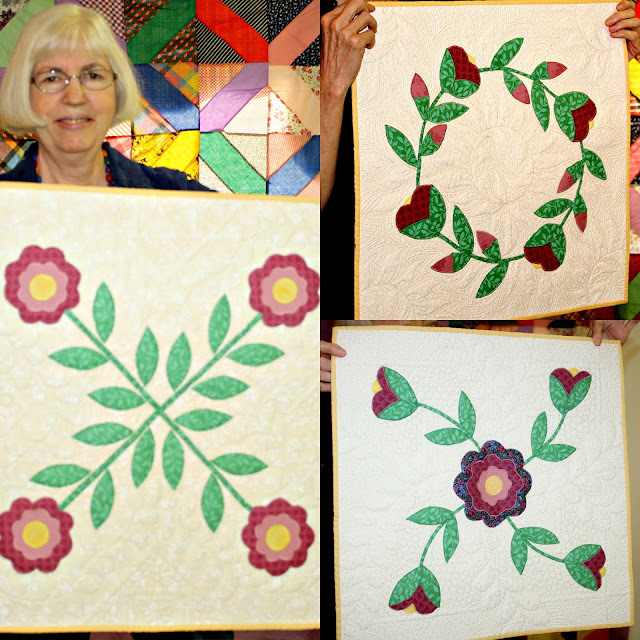 Millie Schwab showed her king quilt "Amish With a Twist", made from a kit brought to her as a gift from her husband. Connie Hart showed "Black-White and Red All Over" that she made for the 2016 Buckmasters Banquet. 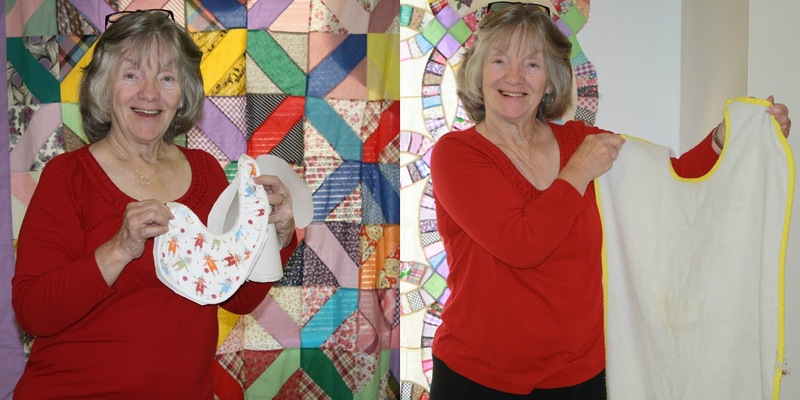 Becky Martin shows her cherished appliqued wall hangings made by her mother. Becky's cousin in Ohio quilted then for her. 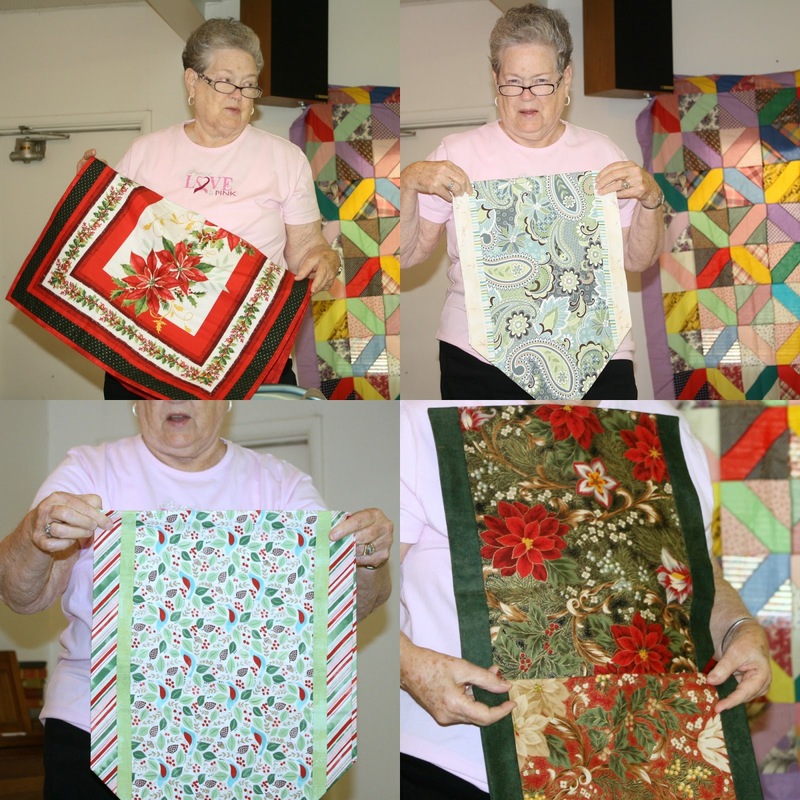 Ruby Goodwin and her daughter went on a quilt shop adventure and bought Christmas fabrics to make these festive table runners. Judy Tiedemann brought baby bibs and patterns for distribution to guild members. These little bibs will go to Wee Care. Judy also brought an adult sized bib/pattern for bibs that can be used in nursing homes. President Lana Webb showed "Boat Racers", a t-shirt quilt that she made for the Drag Boat Association auction, the proceeds will go to rescues. Lana also showed bags she made from left over t-shirts. 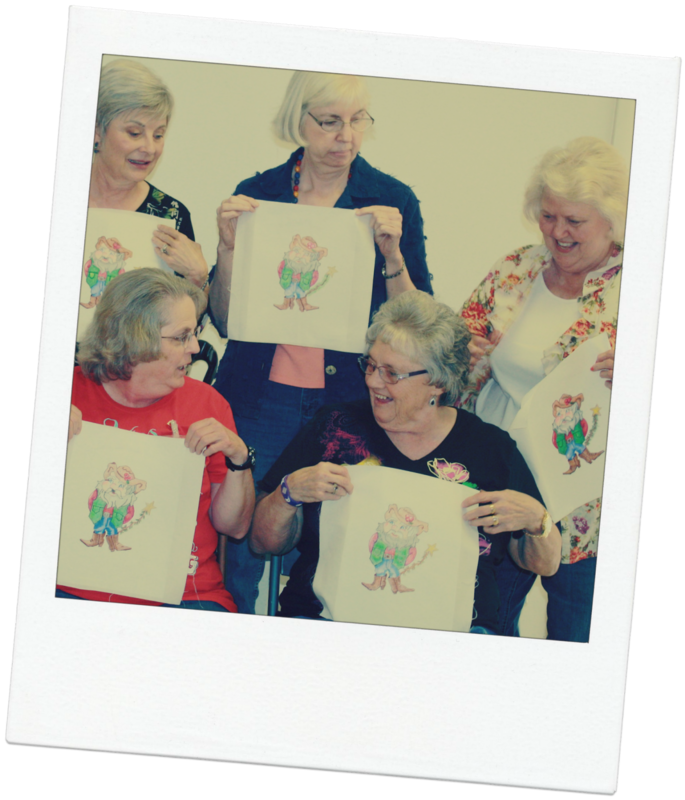 as a color class with Bobbie Lee Fryar. 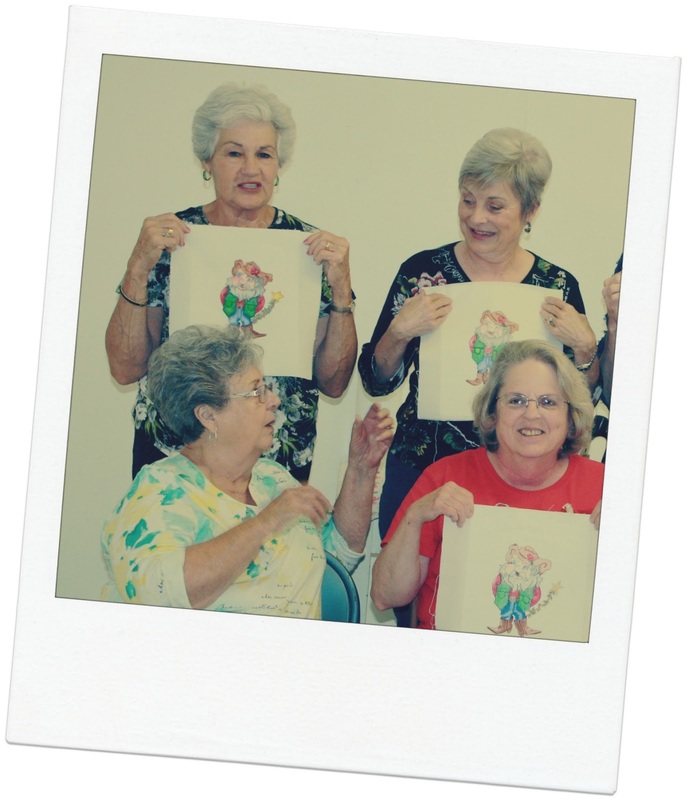 Acclaimed artist Bobbie Lee Fryar taught guild members how to do Crayola quilt squares. This was a new technique for many of us. Loads of fun and fellowship was had by all. 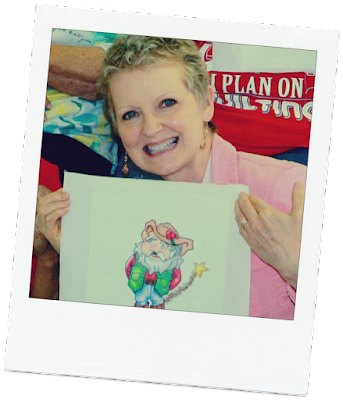 We would like to offer a big thank you to Millie Schwab for transferring all the Santa images to fabric for us.